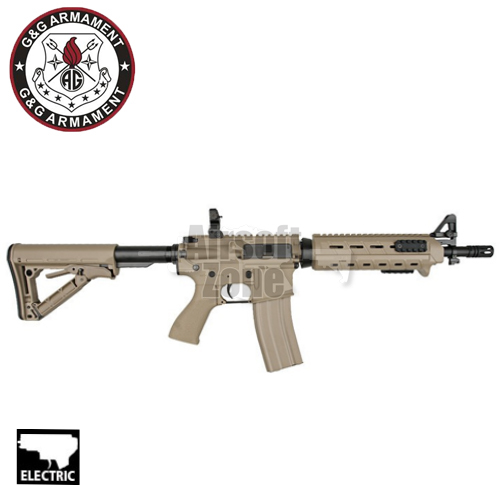 G&G's airsoft version of a civilian contractor type rifle (coming with furniture very reminiscent of a certain US maker of RS parts) comes complete with a folding rear and removable front sight. Pre-installed single point sling mounting point and plenty of rail space make for an excellent and very versatile rifle. This AEG is wired to the front, giving fast easy access to the battery compartment. 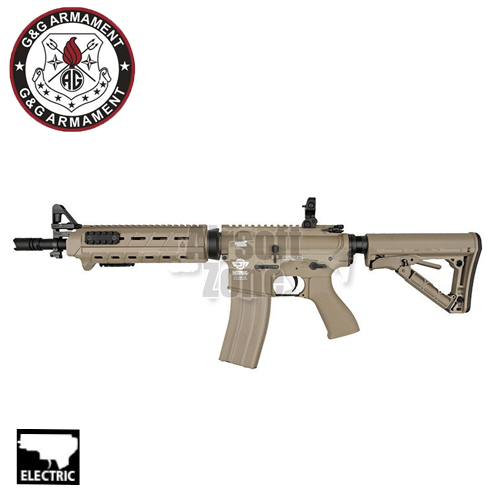 Being a G&G Combat Machine these AEGÕs are light weight, simple to maintain, very reliable and extremely cost effective.